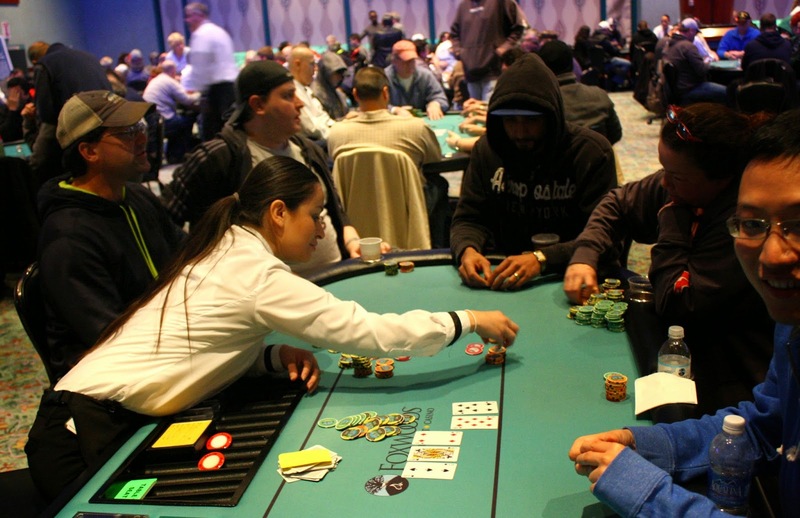 The field has been trimmed to 27 players, which means that we are down to the final 3 tables. The field will play 1 more level after this one before bagging up for the night. 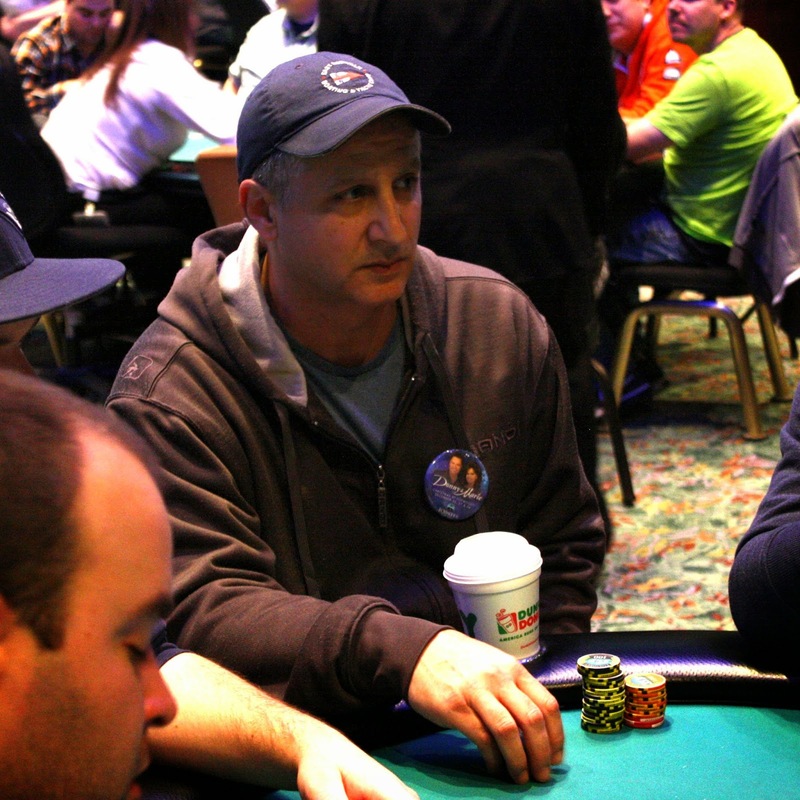 Ralph Macri is currently the chip leader with 656,000. 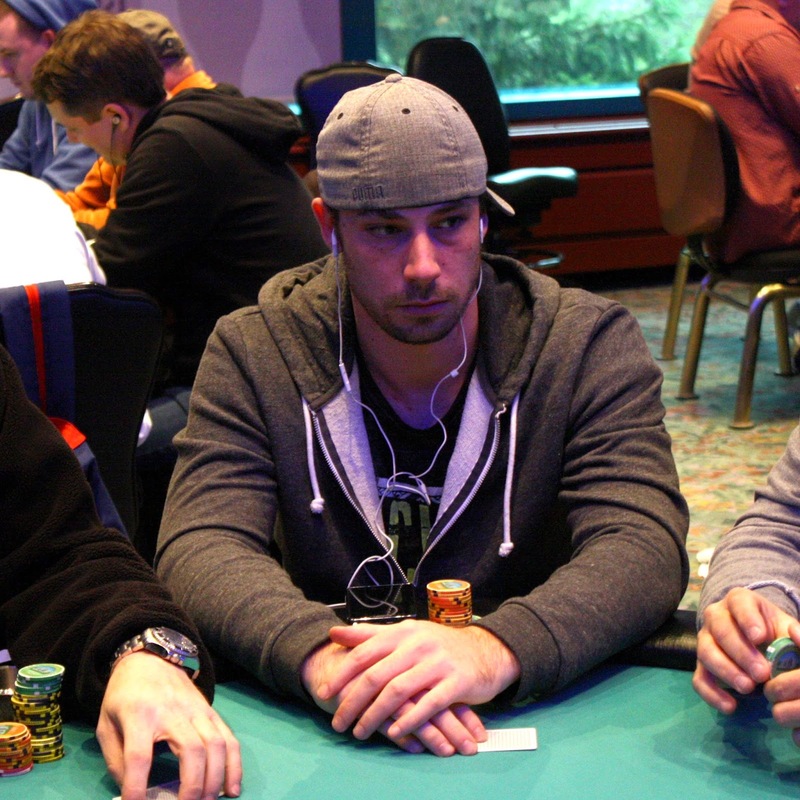 At the same table, Ryan Eriquezzo sits on 547,000. 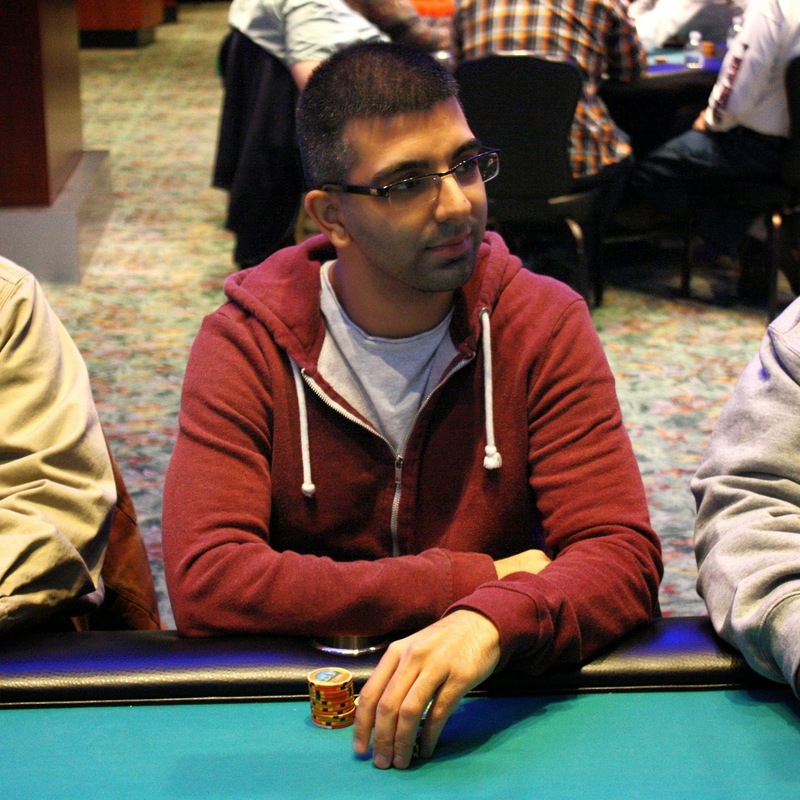 We saw a very unusual hand get us into the money in Event #4 $300 NLH. The player above in the red was getting low on chips and was forced all in in the big blind. The player under the gun (foreground, bottom left) opened to 12,000 at 2,500/5,000, and action folded around to the button, who reraised to 25,000. The opener called, and it was off to the [2d][2c][Kh] flop. The original raiser checked dark and folded pocket jacks face up when faced with another 25,000 bet. That large side pot would be pushed to that player, who tabled [8d][4c] to the disbelief of his tablemates and the crowd that gathered around. The all in player tabled [8c][5d], which meant there was a 74% chance of a tie. The [2s] turn changed nothing, but the [4d] river meant the bubble would be burst as the winning hand was deuces full of fours. 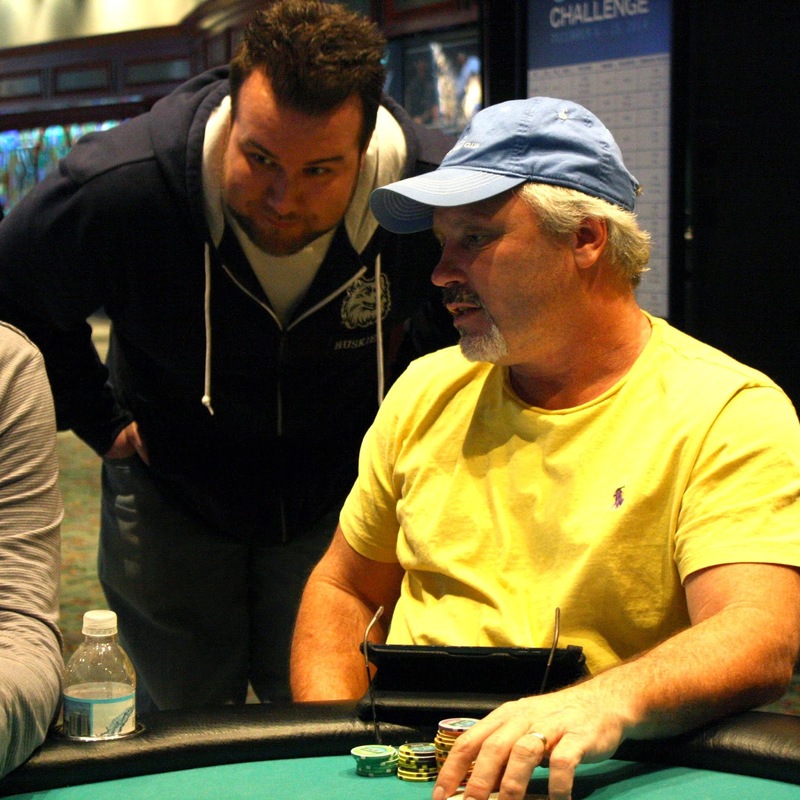 A player busted on the same hand at the next table, so the two players will split 63rd place money for $270 each. 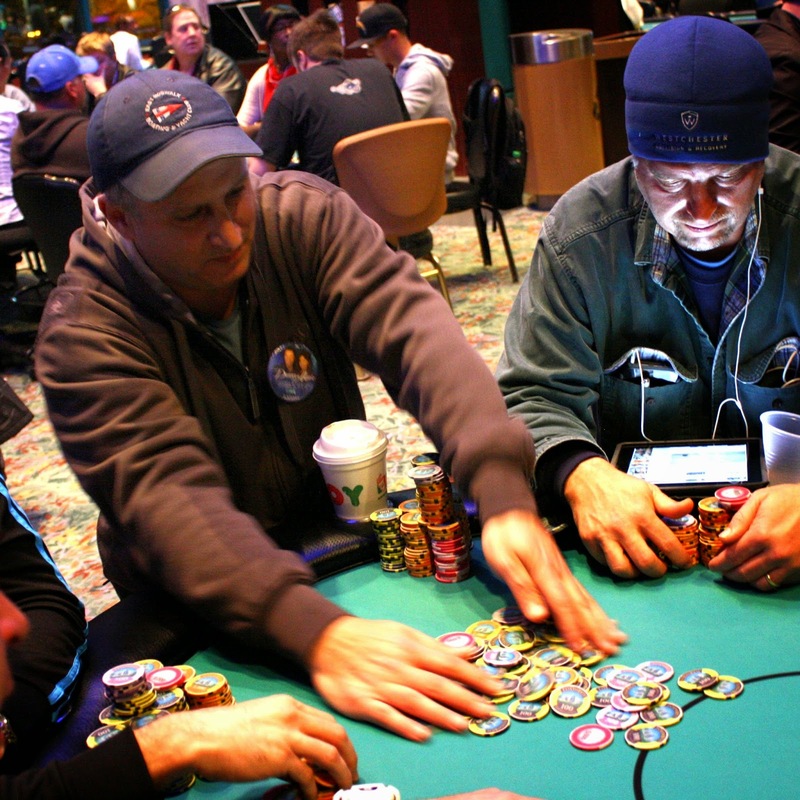 The clock has been paused with almost 21 minutes remaining in Level 18, and play is now hand for hand. 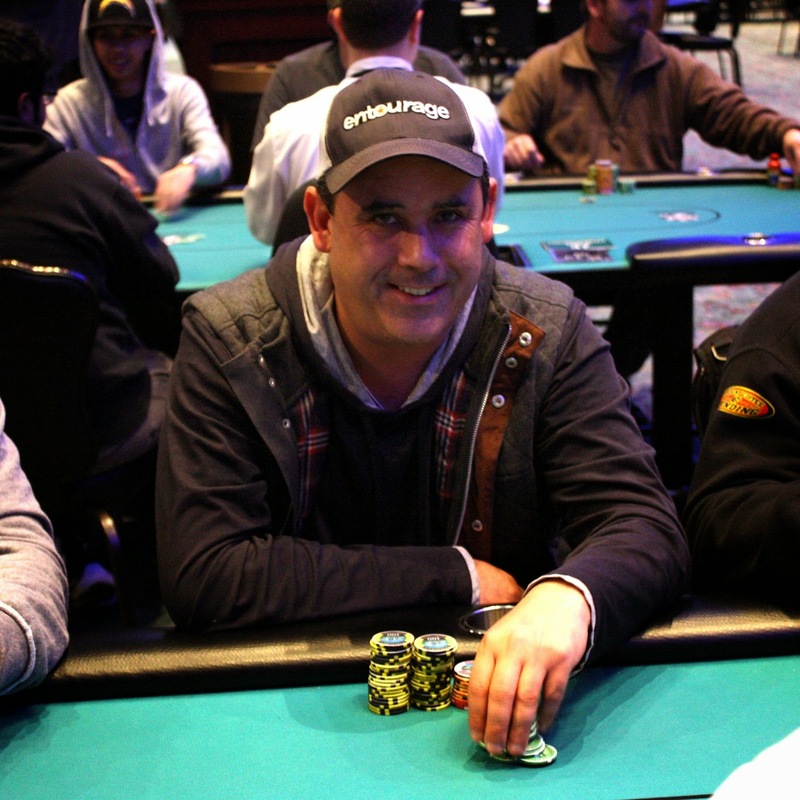 While Ralph Macri officially took 2nd in Event #1 $600 NLH, he chopped heads up and flipped for the official 1st place. 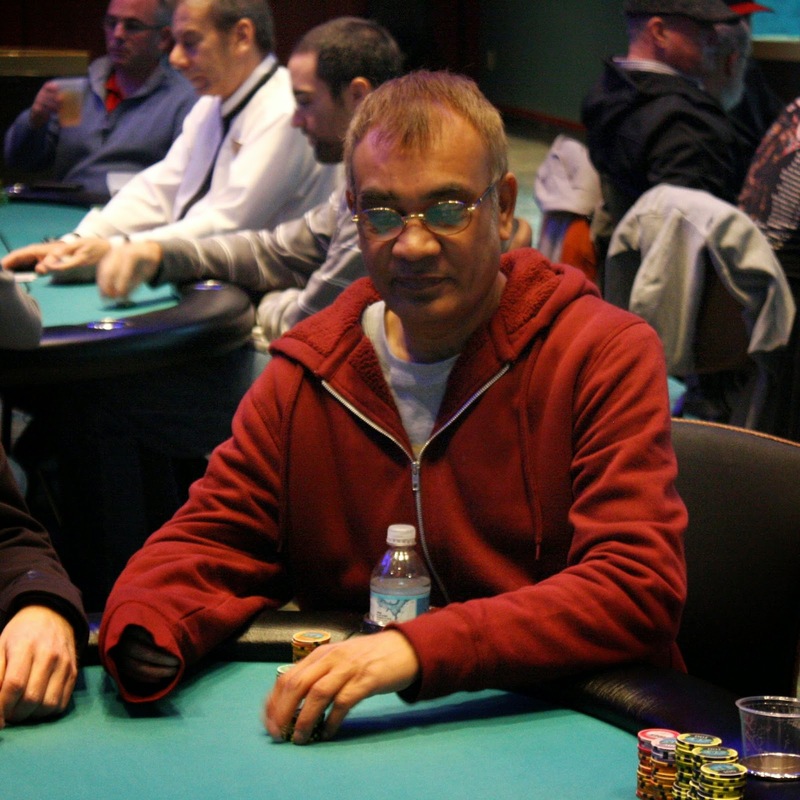 Ralph is still alive and doing well in Event #4 $300 NLH. 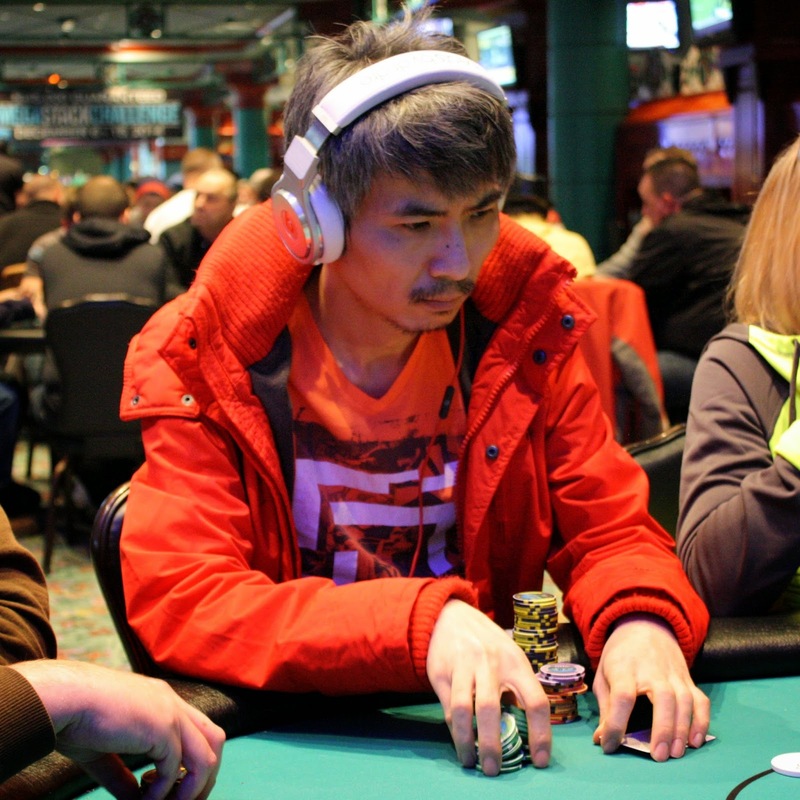 We arrived at his table to count his chips before break only to see him move all in on top of another player's all in. Everyone else got out of the way and Ralph's [Qd][Jd] was up against his opponent's [Ac][4c]. The flop came queen high, and Ralph's pair held up to award him the knockout. 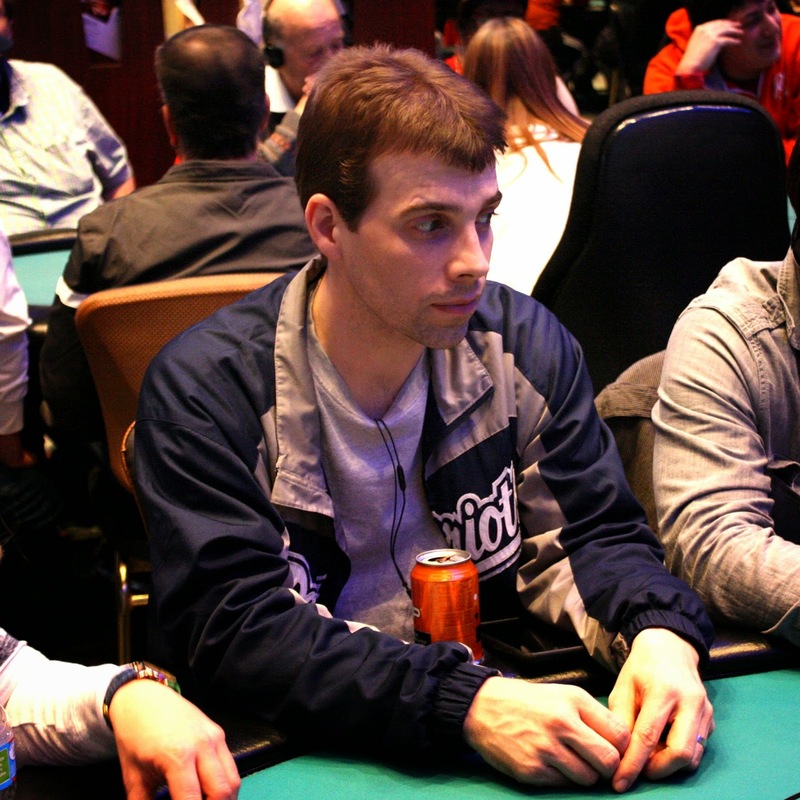 After the hand, Ralph explained he was trying to keep up with Ryan Eriquezzo, who is possibly the tournament chip leader with 270,000 chips. Ralph isn't too far behind him with 220,000. The 135 remaining players in Event #4 $300 NLH are back from their dinner break and are now playing 1,000/2,000 blinds with a 300 ante. The blinds have just gone up to 800/1,600 with a 200 ante, and this will be the last level before the players take their one hour dinner break. The original starting field of 523 entrants has been trimmed to only 150 remaining players. 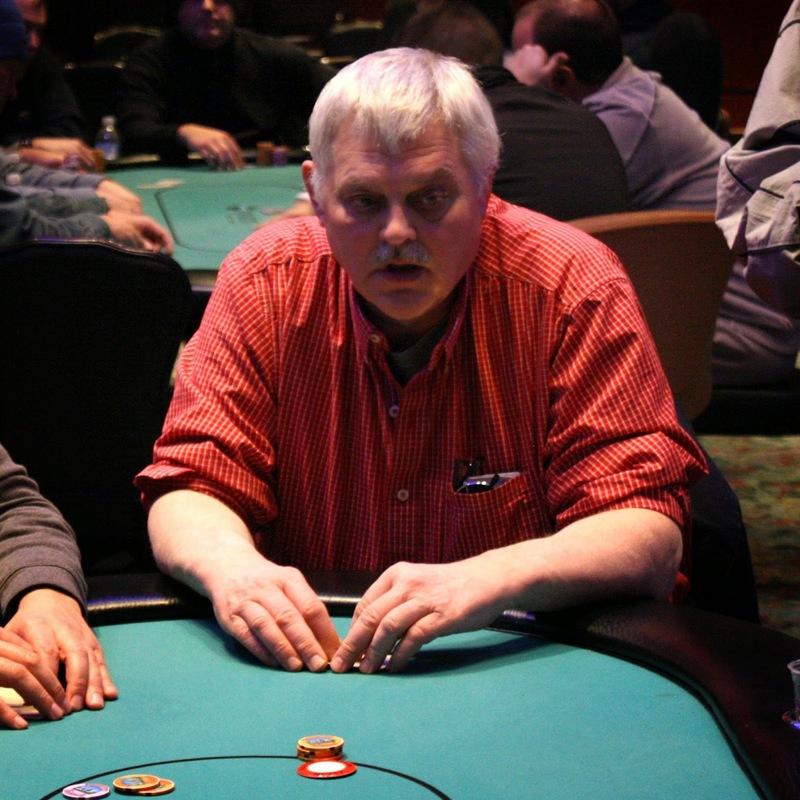 Frank had flopped top two pair and had to dodge his opponent's gutshot or runner-runner. The [Qc] turn and [3s] river meant Frank will double up to approximately 78,000. Cards are in the air for Event #4 $300 NLH. This tournament features a $100,000 Guarantee and has 15,000 in starting chips and 30 minute levels. A full structure is available here. 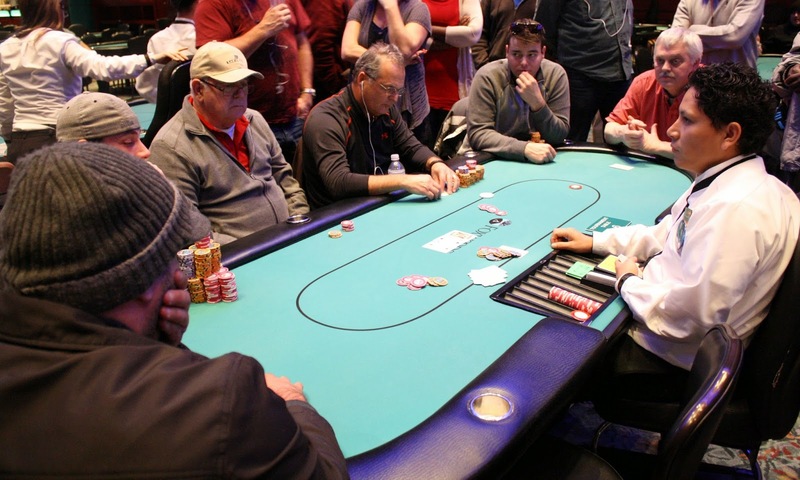 You can watch the feature table live at www.FoxwoodsLive.com. 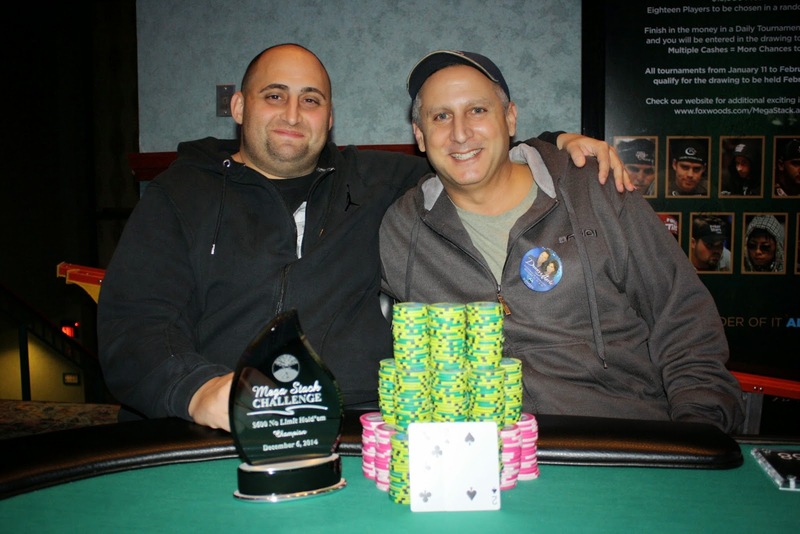 Jason Calnan and Ralph Macri agreed to a deal while heads up. They would each get $30,000, and they would run out a board to determine a winner. The winner would get 1st place and the remaining $1,067, and the loser would get 2nd place and the trophy. Jason was dealt the worst hand in poker, [7c][2s], while Ralph was dealt [Th][3h]. The final board read [9c][8c][2d][Kc][6s] to give Jason the winning hand. He will take 1st place and collect $31,067. Ralph will have to settle for $30,000 and the trophy.